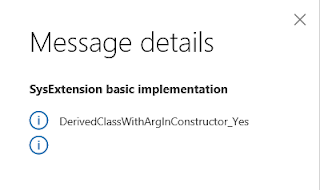 In the above blog post I described how to use the SysExtension framework in combination with an Instantiation strategy, which applies in many cases where the class being instantiated requires input arguments in the constructor. At the end of the post, however, I mentioned there is one flaw with that implementation. That problem is performance. The second problem is not really relevant in Dynamics 365 for Operations, as everything runs in IL now by default. And the first problem was resolved through introduction of an interface, SysExtensionIAttribute, which would ensure the cache is built by the attribute itself and does not require reflection calls, which immediately improved the performance by more than 10x. Well, if you were paying attention to the example in my previous blog post, you noticed that my attribute did not implement the above-mentioned interface. That is because using an instantiation strategy in combination with the SysExtensionIAttribute attribute was not supported. // Use the much faster implementation in getClassFromSysExtAttribute(). So if we were to use an Instantiation strategy we would fall back to the "old" way that goes through reflection. 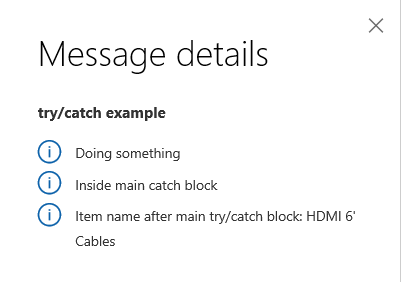 Moreover, it would actually not work even then, as it would confuse the two ways of getting the cache key. We have updated the SysExtension framework in Platform Update 5, so now you can rip the benefits of both worlds, using an instantiation strategy and implementing the SysExtensionIAttribute interface on the attribute. First off, let's implement the interface on the attribute definition. We can now also get rid of the parm* method, which was only necessary when the "old" approach with reflection was used, as that was how the framework would retrieve the attribute value to build up the cache key. As part of implementing the interface we needed to provide the implementation of a parmCacheKey() method, which returns the cache key taking into account the attribute value. We also need to implement the useSingleton() method, which determines if the same instance should be returned by the extension framework for a given extension. The framework will now rely on the parmCacheKey() method instead of needing to browse through the parm methods on the attribute class. 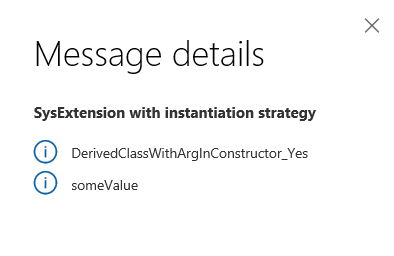 Let's now also change the Instantiation strategy class we created, and implement the SysExtensionIInstantiationStrategy interface instead of extending from SysExtAppClassDefaultInstantiation. That is not necessary now and is cleaner this way. The implementation should stay the same. You can download the full project for the updated example from my OneDrive. As you know, we have been focusing on extending our Extensibility story in the application, as well as trying to document the various patterns common to the application and how to address them if you are an ISV and need to extend some existing functionality. mfp has recently written a blog post describing how you can extend the information shown on a RunBase-based dialog, and how to handle that information once the user enters the necessary data. 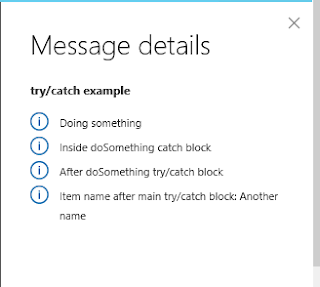 What that example did not describe is how to preserve the user entered data, so that next time the dialog is opened, it contains the last entries already populated. This is the typical pattern used across all AX forms and is internally based on the SysLastValue table. In RunBase classes it is done through the pack and unpack methods (as well as initParmDefault). For ensuring seemless code upgrade of these classes they also rely on a "version" of the stroed SysLastValue data, which is typically stored in a macro definition. The RunBase internal class state that needs to be preserved between runs is typically done through a local macro. We save the packed state of the class with the corresponding version into the SysLastValue table record for this class, which means that all variables in the CurrentList macro need to be "serializable". When we need to retrieve/unpack these values, we retrieve the version as we know it's the first position in the container. This works fine in overlayering scenarios, because you just add any additional state to the CurrentList macro and they will be packed/unpacked when necessary automatically. But what do you do when overlayering is not an option? You use augmentation / extensions. However, it is not possible to extend macros, either global or locally defined. Macros are replaced with the corresponding text at compile time which would mean that all the existing code using the macros would need to be recompiled if you extended it, which is not an option. OK, you might say, I can just add a post-method handler for the pack/unpack methods, and add my additional state there to the end of the container. Now, when the class is run the next time around, unpack needs to be called, together with the unpack method extensions from ISV1 and ISV2 solutions. Unpack is run and assigns the variables from the packed state (assuming it's the right version) to the base class variables. Steps 2 and 3 cannot be done in a reliable way. OK, say we copy over the macro definitions from the base class, assuming also the members are public and can be accessed from our augmentation class or we duplicate all those variables in unpack and hope nothing changes in the future :) - and in unpack we read the sub-part of the container from the base class into that, but how can we ensure the next part is for our extension? ISV1 and ISV2 post-method handlers are not necessarily going to be called in the same order for unpack as they were for pack. All in all, this just does not work. The below line is perfectly fine in X++ and will not cause issues, which is why the base unpack() would not fail even if the packed container had state for some of the extensions as well. The container being assigned has more values than the left side. In order to solve this problem and make the behavior deterministic, we came up with a way to uniquely identify each specific extension packed state by name and allow ISVs to call set/get this state by name. unpackExtension - look through the packed state container and find the sub-part for this particular extension based on extension name. isCandidateExtension - evaluates if the passed in container is possible an extension packed state. For that it needs to consist of the name of the extension + packed state in a container. With the release of Platform update 5 for Dynamics 365 for Operations we should now be better guarded against this kind of issue. As a result, the NameAlias is still modified. 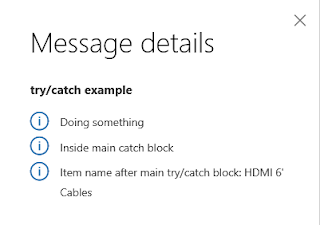 So, again, we will simply not handle the 2 special exception types (UpdateConflict and DuplicateKey) any longer in a catch-all block inside a transaction scope, you will either need to handle them explicitly or leave it up to the calling context to handle. This will ensure we do not get into this erroneous code execution path where the transaction is not aborted, but we never handle the special exception types internally. The direct impact of this change is that we should stop using certain patterns when writing new X++ code. One of these patterns is the implementation of factory methods through a switch block, where depending on an enumeration value (another typical example is table ID) the corresponding sub-class is returned. First off, it's coupling the base class too tightly with the sub-classes, which it should not be aware of at all. 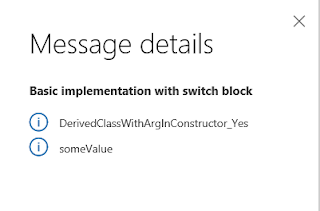 Secondly, because the application model where the base class is declared might be sealed (e.g, foundation models are already sealed), you would not be able to add additional cases to the switch block, basically locking the application up for any extension scenarios. So, that's all good and fine, but what can and should we do instead? The SysExtension framework is one of the ways of solving this erroneous factory method pattern implementation. In many cases in existing X++ code, the constructor of the class (the new() method) takes one or more arguments. In this case you cannot simply use the SysExtension framework methods described above. A base class that takes one string argument in the constructor. This could also be abstract in many cases. Two derived classes that need to be instantiated depending on the value of a NoYesUnchanged enum passed into the construct() method. OK, so to decouple the classes declared above, I created a "factory" attribute, which takes a NoYesUnchanged enum value as input. That is because by default the SysExtension framework will instantiate a new instance of the corresponding class (dictClass.makeObject()), which ignores the constructor arguments. In order to account for the constructor arguments we need to use an Instantiation strategy, which can then be passed in as the 3rd argument when calling SysExtensionAppClassFactory. Define a class extending from SysExtAppClassDefaultInstantiation (it's unfortunate that it's not an interface instead). Declare all of the arguments needed by the corresponding class we plan to construct. In there we create the new object instance of the appElement and, if necessary, pass in any additional arguments, in our case, arg. There is a problem with the solution described above. The problem is performance. I will walk you through it, as well as the solution, in my next post. A monthly cadence AX 2012 R3 update for February has just come out on LCS, and with it a few changes our team has done that deal with overall behavior and performance of WMDP - the Warehouse Mobile Devices Portal used in the Advanced warehousing module. A performance optimization, that avoids updating certain persisted counters on the wave when work goes through its stages. This is a great change ensuring we do not commit any data unless all went well, but might hypothetically impact your new/modified WMDP flows, if you handle your exceptions incorrectly today. If you do find issues with them, please let me know, I am curious to know your specific examples. This includes improvements to enable better concurrency in various WMDP scenarios, better error handling on user entry, etc. Again, install these, try them out, and provide feedback! The extensible enums are represented in CLR as both an Enum and a Class, where each enum value is represented as a static readonlyfield. So accessing a specific value from the above enum, say, NumberSeqModule::Invent would under the hood look something like NumberSeqModule_Values.Invent, where Invent is of type NumberSeqModule which is an Enum. It would in turn call into AX to convert the specific named constant "Invent" to its integer enumeration value through a built-in function like the symbol2Value on DictEnum. 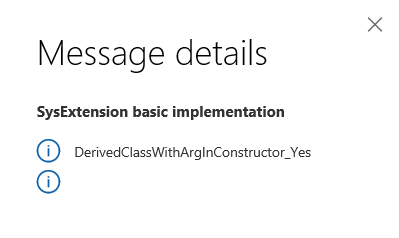 Something that was not super clear in the post is that this was actually a breaking change that might impact your .NET solutions relying on one of these base enumerations. As part of enabling further extensibility in the application for the next release, we have made a number of additional base enums extensible. 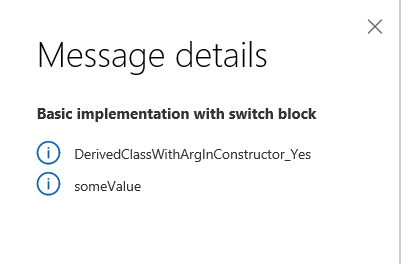 Note: Because the values are now determined at runtime by going to the AOS and asking for the correct integer value of this enum, they cannot be used in a switch/case block, which expects constant expressions known at compile-time. Obviously, this situation is not great. Let's hope that Microsoft will think of a good way to address this going forward. 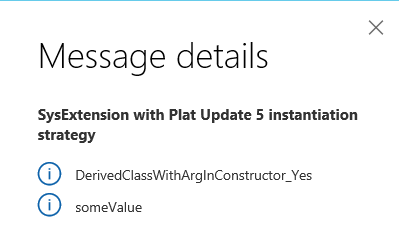 That leads to a question - how many of you actually have .NET libraries relying on application code in Dynamics 365 for Operations and might be impacted by us making some of the enums extensible in the next major release?